Over a decade after the series took Japan by storm, the West seems to have finally taken notice of Sega's intended spiritual child of Shenmue. Thanks to some highly memorable PS4 entries featuring the ex-yakuza with a heart of gold, Kiryu has suddenly become a recognizable gaming face alongside the Yakuza series itself. That's why it's more than a bit odd that we must bid Kiryu farewell just as the series is gaining momentum in 2018. Yet, with more than a half-dozen of his crime-centric stories etched upon the backs of various Sony console generations (including the highly recommended prequel: Yakuza 0) it does certainly have justification behind it. With the hopes telling one final tale deep into Kiryu's adulthood age does Yakuza 6: The Song of Life provide a worthy finale to the series' beloved main protagonist? Yakuza 6: The Song of Life is a confusing beast much like the lead protagonist it is focused upon. For veterans of the series the gameplay framework will be more than recognizable, from punching in the faces of countless thugs to playing Puyo Puyo at a random Sega arcade cabinet but thematically it will likely feel quite foreign. 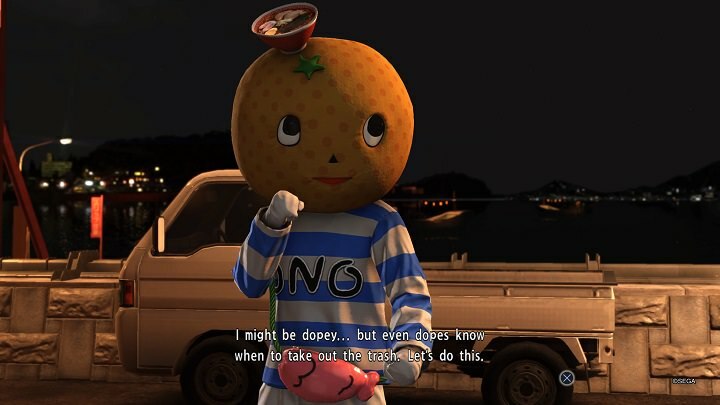 This is most true when Kiryu bounces from the all too familiar bustling starting town of Kumurocho (which has been a staple for every single main entry game) to the entirely new and much more rural location of Onomichi for more than half the main game. 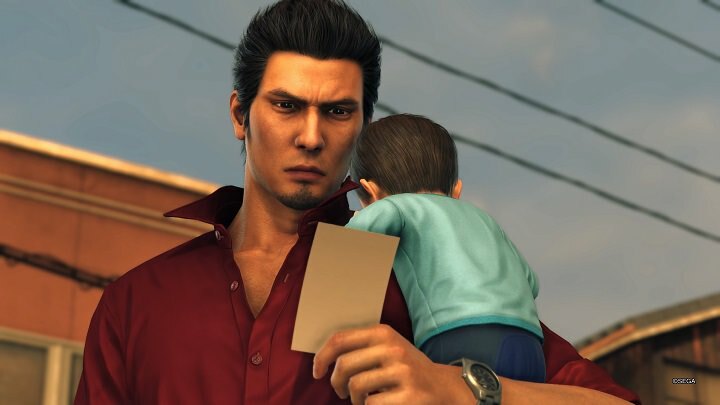 To avoid being too specific for spoiler-ish reasoning, the very loose pretense being that Kiryu gets saddled with taking care of a child in a quest of finding the would-be father. Of course, like any Yakuza storyline it never ends up being quite that simple for the "Dragon of Dojima" Kiryu and his unlucky interwoven fate with the criminal underground. To strongly punctuate the distinctly new Onomichi backdrop is in no small part because of the series' entirely different gameplay engine as well as the surprising focal point on new characters. The advanced gameplay engine often makes Yakuza 6 gorgeous both visually and aurally. It is also the first time in a long while the series hasn't felt shackled by dated PS3 hardware. Through the smart use of furrowed brows, eye contact, and other nonverbal tics it goes a long way in making the fresh setting and cast captivating aesthetically, alongside some strong musical accompaniment, even when story scenes get a little too self-indulgent in terms of running time and occasionally eye roll worthy story twists. Perhaps the strangest aspect about Yakuza 6 is that the story it tries to tell often feels quite removed from almost every prior title. Many fan-favorite characters are barely anywhere to be seen, for example, despite doing an admirable job at making one warm up to the new cast like the hotheaded thug Nagumo or his nonchalant patriarch Hirose. The only real exceptions to this independent storytelling philosophy being the intro that immediately follows up Yakuza 5's conclusion and the emotionally charged and satisfying finale for returning fans. While I grew to appreciate the refreshing (and generally more focused theme around family) change in storytelling dynamic, especially since Yakuza 4 and 5 had plenty of narrative throwback fanfare, I can definitely see a knee-jerk reaction from other longstanding Yakuza players expecting much more familiar territory for Kiryu's final adventure. I may have grown to appreciate the differences in Yakuza 6's approach towards narrative the gameplay is not quite as consistently well-realized within the snazzy new engine. Like most Yakuza titles there is a strong focus on soaking in the sights of Japan to just as quickly settling fights--and there's plenty reasoning to do both. The combat, in particular, is where Yakuza 6 comes across almost like a groundwork for future games than what it should be as a culmination of the series. There are some smart changes like much smoother transitions both in and out of battle, whereas the previous titles often felt like random encounters in role-playing games you couldn't really run away from. 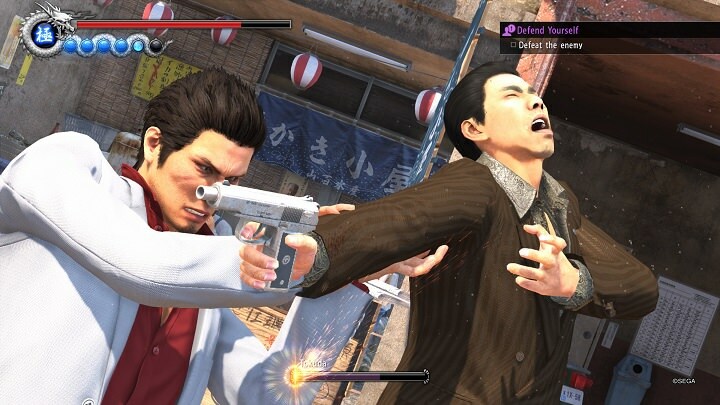 But Kiryu's overall moveset is more simplified this time around with the lack of Yakuza 0's combat stances or the character variety in games like Yakuza 4 & 5. It also doesn't help combat itself is made less responsive than it should be with some really wonky hit detection and bizarre usable item physics-- like some faceless thug casually able to kick a bicycle as if it were a soccer ball across the street. Sure, battles are still fun in a mindless beat 'em up way with a whole lot of visual flair, scripted story battles especially, but a handful of welcome tweaks does not save it from coming off as an arguably more clumsy battle system overall. Yet, Yakuza is one of those series that can often get past the more hit & aspects with its core systems due to the sheer breadth of optional side activities. As per the series' standard, there are a whole lot of distractions from the main story and the game is better for it since it helps distract from some occasional main story pacing flaws. Kiryu can go around doing all sorts of stuff like working out at a gym, sing karaoke, feeding stray cats to have them become part of a cat cafe, gamble, go to hostess bars, and more. There are some obvious winners like excellent ports of Sega games via in-game arcade cabinets like Fantasy Zone or Outrun to straight-up most recent editions of Virtua Fighter 5 and Puyo Puyo. The biggest loser, unfortunately, in terms of being just plain annoying despite the clever name involves "Troublr", which are time-sensitive missions that love to pop up at the most inconvenient times and try and guilt trip you for not helping right away. Some sidequests in particular, however, run surprisingly deep. Easily the most in-depth mode of all involves an overhead real-time strategy game in which Kiryu commands and recruits various warriors in an attempt to stop the iconic Japanese wrestler Rainmaker and his clan called "Justis" from terrorizing the city. There is a surprising amount of nuance to it like connecting online to battle other clans or learning the synergy between certain recruits so they get better stats, even though you can easily over-level your way through it with exp bonuses. Aside from that there are also much more bite-sized side stories which are usually when the localization is at its sharpest because of their either heartwarming or totally bizarre scenarios, all of which are fully-voiced now. As entertaining as much of the side content is, it is disappointing that Yakuza 6 is scaled back in several regards. Quite literally, The main town of Kumurocho has several familiar locations straight up closed off because of in-game construction that never goes away making the adventure feel more claustrophobic than several games before it. Onomichi being even smaller with even less to do (aside from the main story) does not help its case. It is among one of the shortest adventures in the series, and while the game benefits from it story-wise, there is only about half as much to do compared to earlier releases outside of it. Much like Kiryu does as a person throughout his life, Yakuza 6: The Song of Life ends up stumbling in a lot of places despite having its heart in the right place. Everything from its remarkably different and self-contained main narrative structuring to the completely overhauled combat system will almost guarantee that it will rub returning series' fans the wrong way for one reason or another. But what Yakuza 6 does showcase is plenty of passion, like the surprisingly likable new cast to the entertaining (but somewhat more limited) side activities, which permeates throughout the experience and helps the game stand tall. Even though Yakuza 6: The Song of Life may not present the series at its peak performance (that'd be Yakuza 0), it is still a more than worthwhile adventure that does not simply rest on its former achievements to earn one's respect over time. Yakuza 6: The Song of Life strides to go in a remarkably different direction with its themes without abandoning much of the inherent charm the games have become known for showcasing. But at the cost of shedding some of its gameplay strengths in particular in the brand new engine leads to it not quite standing toe to toe with series' best entries.